What to look for and how to choose a custom dog house. 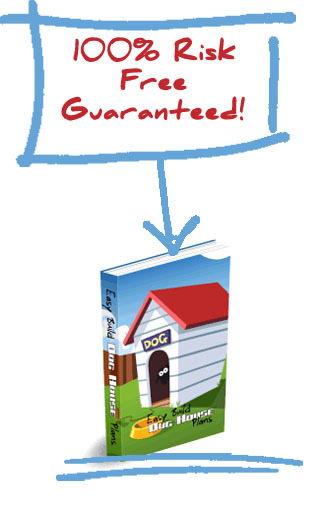 Many people want to build a customer dog house for their dogs. Dogs can be an important part of the family, and many people want their dogs to feel extremely comfortable. This article will discuss some of the custom dog houses I have seen, and how I have been involved in building some custom dog houses. So, what makes a custom dog house? There are many different things that make up a custom dog house, and these can depend widely on prices and options. Many people want their dog to stay cool during the summer, and warm in the winter in the dog house. A way to do that is to install a climate control system. This is just a basic heater or air conditioner that can keep your dog at a great temperature. This is not really a complicated situation, you just need to find an extremely small heating and cooling system. Sometimes even a fan will be enough to cool the dog house with a slight breeze blowing on the dog. A heating system sometimes can be a high wattage light bulb in the winter–if you have good enough insulation. If you need a real heating and cooling system for your custom dog house then there are many places available that specialize in selling these units. Be prepared to spend at least $100 up to thousands of dollars depending on how fancy you want the system to me, how much capacity the system has, and if you want a remote control system to be able to control it from your house. Yes, it is possible to have a fresh water system for your custom dog house. I have seen small tanks that dispense chilled water to a dog. These tanks can be tapped into a water supply line, or can be independent that just require being filled occasionally. Tapping into the water line is of course more expensive. Entertainment systems in your custom dog house. Do you want your dog to enjoy entertainment in his or her dog house? There are simple entertainment systems you can buy. These include a basic radio player, all the way to a small flat screen television that plays the animal channel or movies of your choice. You need to make sure that whatever entertainment system you buy for your custom dog house is able to withstand hot and cold temperatures, and is protected from the elements and moisture. Sometimes people like to build an intercom into their dog house so they can talk to the dog, and if the intercom is setup correctly the dog can talk (bark) back. Another feature a lot of people want in their custom dog house is the ability to monitor their dog. How does this work? You can setup a small wireless camera that goes into your dog house. This can broadcast to a small television in your house, or, depending on the setup you go with, can broadcast to your computer. These are the most common features I have seen people install in custom dog houses. I have put several of these into the dog houses I have built for friends, neighbors, and family. If you want to learn how to build a great custom dog house then you need to check out this resource right here. 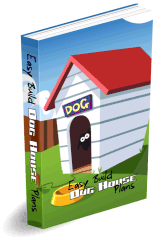 It will give you step-by-step plans on how to build an awesome dog house. I use this for every dog house I build, and you’ve got no risk in learning more. Click here to learn more.